White Oak Mills manufactures custom dry cow feeds to precisely target your specific needs and priorities. Having the flexibility of more than 200 high-quality, competitively-priced ingredients and additives available at White Oak Mills, your White Oak Dairy Specialist will formulate a custom ration utilizing the latest ration-balancing and amino acid-balancing software and nutritional research to meet the specific nutritional needs of your dry cows. Contact a White Oak Dairy Specialist for more information. Custom Dry Cow Feeds can be formulated as complete feeds, concentrates or Personalized Fortification Blends (PFBs). This dry cow supplement, fed at a rate of three pounds per head per day, will allow the dry cow to obtain the required protein, minerals and vitamins to prepare for a healthy, productive lactation. Two pounds per head per day of this product will supply protein, minerals and vitamins to meet the needs of the dry cow and her rapidly-developing calf. 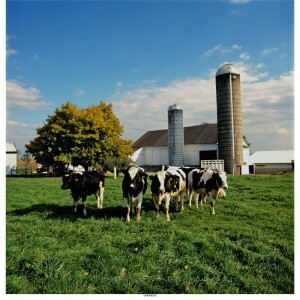 Fed at a six-pound feed rate, White Oak’s Close-Up 22% Pellet is designed to provide an anionic balance to reduce metabolic problems and bypass fat and protein levels to increase future milk production. An advanced dry cow mineral and vitamin pak, Future Lac contains optimum levels of essential minerals and vitamins. In addition, this product fine-tunes the dry cow’s mineral program to minimize herd health problems. Future Lac, fed at a seven-ounce feed rate, is an investment in profitable future lactations.